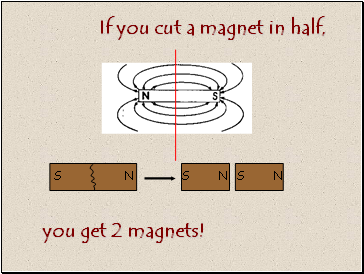 Magnets have been known for centuries. 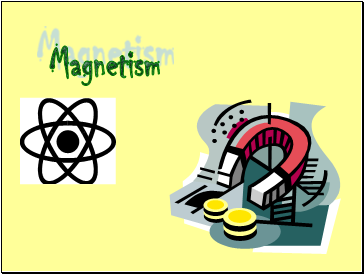 The Chinese and Greeks knew about the “magical” properties of magnets. 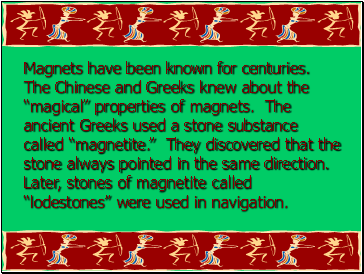 The ancient Greeks used a stone substance called “magnetite.” They discovered that the stone always pointed in the same direction. 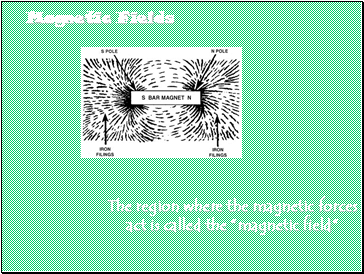 Later, stones of magnetite called “lodestones” were used in navigation. 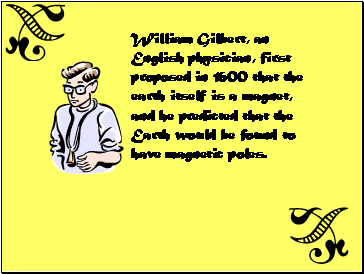 William Gilbert, an English physician, first proposed in 1600 that the earth itself is a magnet, and he predicted that the Earth would be found to have magnetic poles. 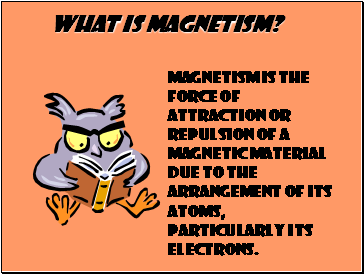 Magnetism is the force of attraction or repulsion of a magnetic material due to the arrangement of its atoms, particularly its electrons. 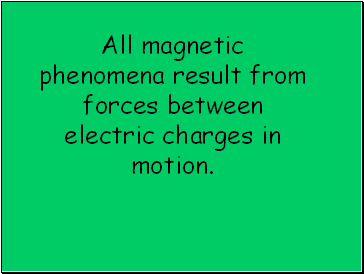 All magnetic phenomena result from forces between electric charges in motion. 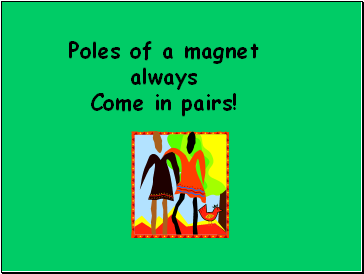 2 poles – 1 north, 1 south. 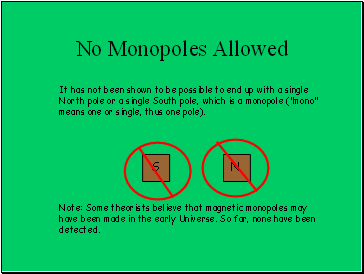 It has not been shown to be possible to end up with a single North pole or a single South pole, which is a monopole ("mono" means one or single, thus one pole). 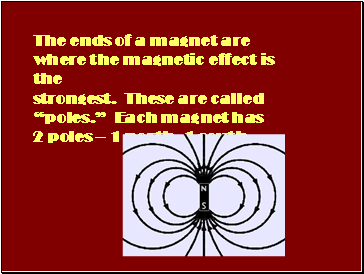 Note: Some theorists believe that magnetic monopoles may have been made in the early Universe. 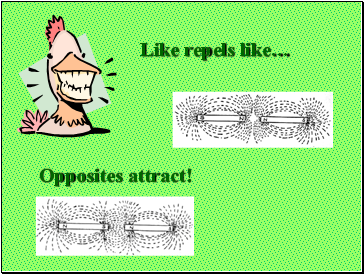 So far, none have been detected. 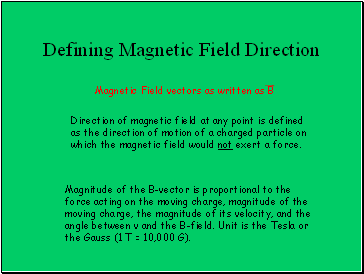 Direction of magnetic field at any point is defined as the direction of motion of a charged particle on which the magnetic field would not exert a force.